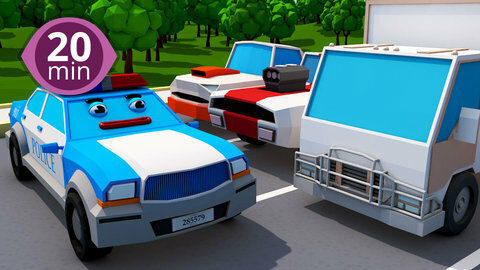 Gear up for another fun ride with this series of 3D kids car cartoon videos! When a big, mean monster truck bumps a police car on the road and escapes a chase, he has a good laugh. But when he sees that the cop car is stuck on the roof of the building, is he still mean or does he have a change of heart? Watch to find out and then, find more fun 3D car episodes for children on SeeZisKids!